The tribes that became most directly involved in the American Revolution were the members of the Iroquois Confederacy. Powerful and especially pro British, the confederation occupied a strategic location along the Hudson between New England and the middle colonies. Of the six tribes of the confederacy, the Seneca, Mohawk, Cayuga and Onondaga sided with the British; Only the Oneida and Tuscarora took the cause of the Patriots. George Washington, acknowledged the need for Indian soldiers. They could be an excellent use as scouts and light troops. The Continental Congress, in 1776, authorized him to enlist 2000 Indians. Of the 250,000 men who served in the Washington Army, about 5,500 were Indians. Opposite, the English could align 13,000 Indian soldiers. A number of Indians who rallied to the cause of the patriots were descendants of the New England Christian Indians, whose communities date back to the 17th century, to the activities of Puritan missionary John Eliot. Now fully assimilated and intertwined with their white and black neighbors, they looked little like their Mahican, Wappinger, and other tribal ancestors in appearance or culture. Of these Christian Indians, residents of Stockbridge, Massachusetts, stand out. Known as the Stockbridge Indians from their mission village located in Bekrshire, Massachusetts, members of this Christian community were predominantly Mahican, but the group included other indigenous peoples from all over New England. The Stockbridge Indians not only used their influence to prevent other tribes from supporting the British, but they also formed a company in the colonial army and fought in all major campaigns of the Eastern Theater of the American Bunker Revolution Hill at the Battle of Monmouth. Their effectiveness as a combat unit ended in August 1778 when the Stockbridge Company met with a unit of the Queen's Rangers, Mounted Dragons, near White Plains, New York. The Indians fought valiantly, but they were not comfortable with the men and horses who crushed them, killing about forty of them and capturing a dozen. After the battle, local residents buried Stockbridge soldiers and their leader at a site known as the Indian Field in Van Cortlandt Park in the Bronx, New York. There are also thirteen Delaware indians in a colonial military company, and George Washington's aide-de-camp, Simeon Simon, was also an Indian, although his tribe is not mentioned. The Oneida Indians also paid a high price for their loyalty to the patriots' cause. Like the Christian Indians, the Oneida were Christians, espousing the precepts of their beloved missionary Samuel Kirkland, a patriot of New England, Puritan and ardent. By 1775, the Oneida had organized their own militia company under Captain Tewahangaraghken or Honyery Doxtator. According to his pension record in the National Archives, he organized a company of Oneida Indians who were friendly with the Americans in their struggle for freedom and entered military service during the Revolutionary War. At the side of the chief, his wife, Tyonajanegen, who, at the Battle of Oriskany Creek, not only manipulated her own musket, but also loaded her husband's pistol after a bullet had injured her right wrist. According to a White soldier, the Oneida "fought like dogs". 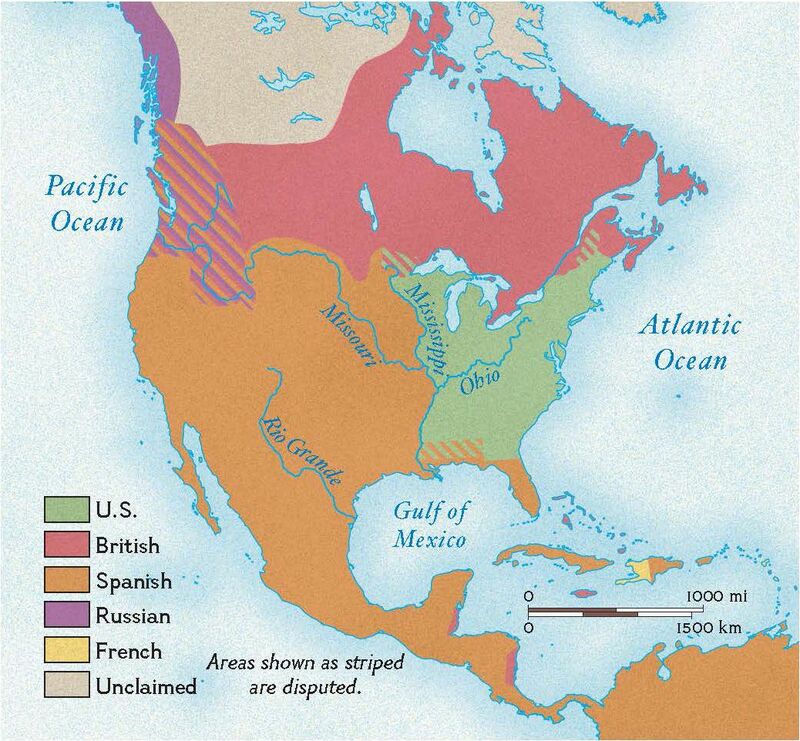 Officially, the six nations had chosen to remain neutral during the revolution, but all of this changed quickly. In January 1776, General Colonial Schuyler raided the Mohawk territory to capture British loyalist suspects. An eminent and well respected member of this community was taken prisoner, which sent most of the six nations to the British side. But the Oneida were closely tied to the settlers in the upper state of New York, and they remained neutral, that is, until the British attacked. Oriska was one of the bloodiest battles of the American Revolution. Hundreds of soldiers in the patriotic ranks died that day. 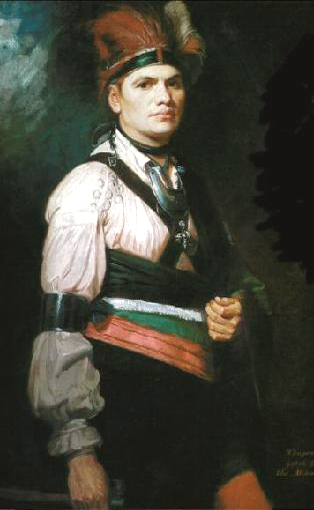 The battle was also a major factor in the dissolution of the Iroquois Confederacy because it pitted some 60 Oneidas against an equal force of Mohawks and Senecas led by the Mohawk Joseph Brant. After the battle, the Oneidas immediately moved to Fort Saratoga, where they helped defeat the British in the battle that is considered the turning point of the Revolutionary War. At that time, the Oneidas had officially enlisted in George Washington's Continental Army. As a result of Oneida support for the Patriots' cause, the American Revolution became a civil war for Iroquois families. A Oneida fighter with the Americans was captured by his own brother, a British supporter, who then sent him back to the Senecas for execution. Still according to the Oneida Archives, Chief Oneida, Chief Shenandoah, sent hundreds of bushels of dried corn to feed George Washington's army during the dreadful winter of 1777-78 at Valley Forge. Oneida woman, Polly Cooper, even showed the soldiers how to cook corn. Martha Washington gave her a shawl as a thank you. This shawl now resides in the Oneida Tribal Museum, next to a letter from George Washington in which he writes that his soldiers would have died of starvation if it were not Indian corn. 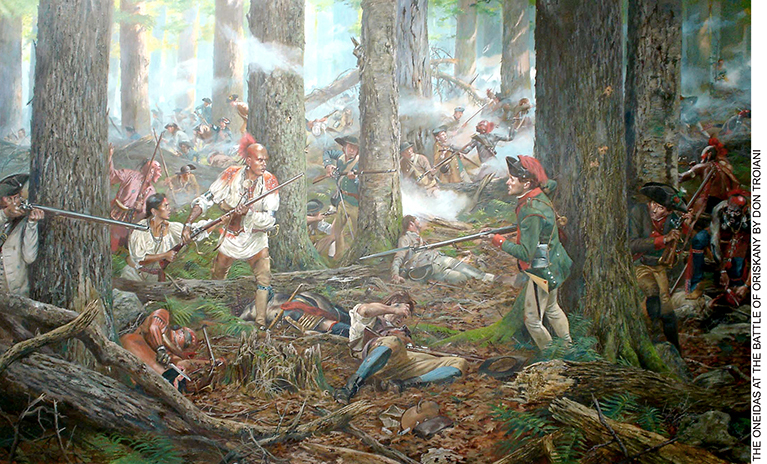 Fallen Timbers was a major battle in a contest for the Ohio country that began with the French and Indian War (1754-1763), went through the Revolutionary War (1775-83), and continued in the 1790s between Americans and Amerindians. Until this battle, it appeared that the Indians were winning the war north of the Ohio River despite the treaties that had ceded part of the territory. 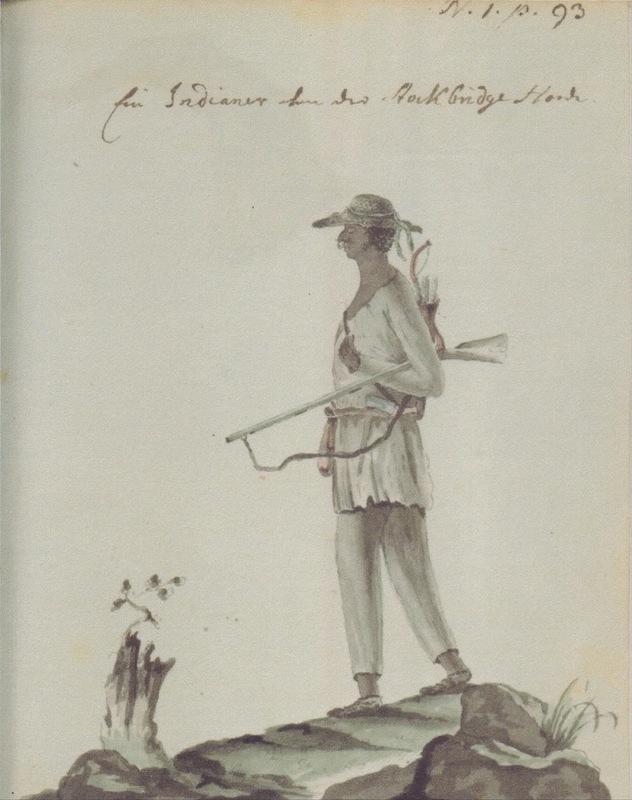 A confederacy of Shawnee, Delaware, Miami, Wyandot and other Indians under the leadership of Little Turtle and Blue Jacket had twice defeated the invading armies of the United States: In 1790, the Indians annihilated a force under General Josiah Harmar and in 1791 crushed the troops under the command of Governor Arthur St. Clair. These disasters paralyzed the US military and led President George Washington to appoint "crazy" General Anthony Wayne to rebuild and form an army to defeat the Indians. Meanwhile, the Indians, who enjoyed a dominant position, refused to make peace with the United States. The Indians demanded the abolition of all treaties providing for the surrender of land north of the Ohio River. They would only make peace if the Ohio River was reestablished as a frontier between Indians and Americans of European descent. Throughout the years 1793 and 1794, General Wayne trained his army, called the United States Legion, and took him to Ohio, destroying many Indian villages and cultures along the way. The campaign culminates in the Battle of Fallen Timbers, in the far northwest of Ohio, on August 20, 1794. Fallen Timbers takes its name from a recent storm that toppled a large number of trees. Wayne's army numbered about 3,000 men. Indian forces numbered about 1,300, with a small group of Canadian militia volunteers in their ranks. Many Indians were absent from the battlefield, however, because they had sought shelter from the storm at their village several miles away. Those who remained had ritually fasted in preparation for the battle. Unfortunately for them, the battle comes a day later than expected, leaving the Indian warriors starving. Perhaps as few as 400 have actually participated in the battle. At the beginning of the battle, the Indians provided strong resistance to the attack of the legion. However, Wayne's army forced the Indians to retreat. The Indians fled to Fort Miami, a nearby British post, where they had been assured in the past that they would find refuge in difficult times. In this case, the British would not allow Indians to enter, wishing to avoid conflict between them and the United States. The Indians had to withdraw further from the field, and they lost additional warriors. Although the losses in the battle were almost equal for the Legion and the Indians, the victory was clearly won by Wayne's army, which had shown its found power. The Indians now realized that the United States would not be easily defeated. Due to the Fort Miami incident, the Indians also lost confidence in the British, who hoped to join them as allies. As a result, less than a year later, the Indian Confederation signed the Greenville Treaty (1795). Named by whites Joseph Brant, Thayendanegea was born around 1742 in the Ohio Valley and raised at Canajoharie Castle in the Mohawk Valley, New York State. At the age of 13, Brant participated in the invasion of New France by the forces of the Kingdom of Great Britain and their Mohawk allies during the 7-year war. He goes to school in Connecticut and visits England. Alongside the British Empire during the American Revolutionary War, he convinced four of the most important Iroquois tribes to join forces with British and Loyalist troops. Brant participated in the battle of Oriskany in 1777 and then led the guerrilla war against American settlers in the states of Pennsylvania and New York. This campaign is so successful that George Washington sends a small army commanded by Generals Clinton and Sullivan in 1779 to devastate the Iroquois country. The Mohawks are exiled to Canada at the end of the war and Brant is busy translating the Anglican prayer book into the Mohawk language. He died in Burlington, Ontario on November 24, 1807. Although Amerindians had little effect on the military results of the American Revolution, their participation produced two profound emotional and psychological consequences that shaped white attitudes and US government policy for decades. One was a reputation for brutality inspired by the atrocities that are inevitable in every war. The other was the notion that Indians deserved punishment for taking sides with the British. To make matters worse for the Indians, whatever the parties chosen, the newly formed United States made no distinction between the tribes and their treatment. Never having suffered defeat, Brant and his warriors were stunned when they learned of the terms of the Treaty of Paris of 1783, which put an end to hostilities and traced a new frontier in North America. 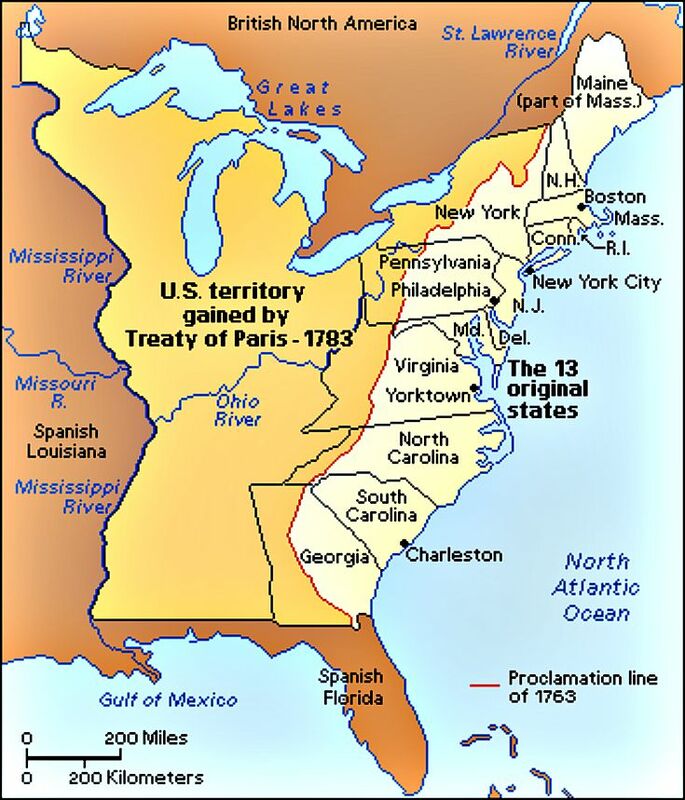 Negotiated and concluded in Europe by European and American statesmen, this treaty did not include a single reference to the indigenous nations that had participated in the conflict, even if it ceded to the new American republic the territories of those who had fought sides of England. The Indians, in London, wrote an officer of the Indian Department, felt, with good reason, betrayed by this treaty. They: '' believe that we have behaved towards them in a treacherous and cruel manner; they told me that they could not believe that our king could pretend to surrender to the United States what does not belong to him that they would defend their just rights or perish, in the process, to the last man they were only a handful, but they would die like men, which they thought better than the misery and distress that would be their lot if they were deprived of their hunting grounds. " This resentment was so strong that the British authorities long feared, after 1783, to be attacked by their allies yesterday; but, fortunately for them, the Americans treated their new and unintentional subjects so badly that, in spite of this betrayal, the latter gradually returned to their traditional allegiance.